AFH Payroll are proud to support this great East Sussex Charity who combine community minded recycling of furniture and clothes to in turn support homeless and unemployed people to get settled and back into employment. Furniture Now! Was established in 2007 and CEO Petrina Mayson is at the forefront of driving forward the aims and objectives of the organisation. With premises in Lewes, Eastbourne and Hailsham, the Charity has been rightly applauded for their amazing work locally. 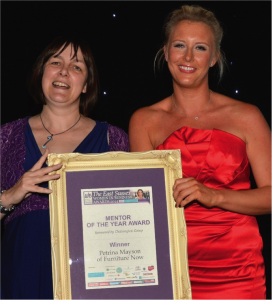 At the recent Women in Business Awards earlier this month, Petrina Mayson was Highly Commended as Overall Business of the Year 2014, and also won Mentor of the Year 2014. AFH Payroll are sponsoring the Crowborough Chamber of Commerce membership for Furniture Now. AFH Payroll are a recycling point for Furniture Now! So local businesses can bring their toner cartridges, and mobile phones to us for recycling.